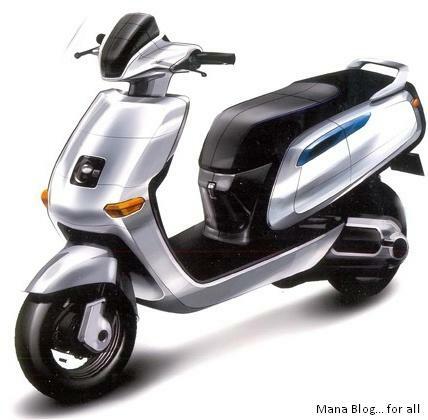 TVS Motor Company has announced their plans to launch four new two-wheelers during 2012-2013. The launches will include two motorcycles and two scooters. The two motorcycles due for launch include a 125cc motorcycle with a four-speed gearbox that will be showcased two to three months from now. The 125cc motorcycle will be slotted into the executive motorcycle segment and will come with all features that are standard on motorcycles within the segment. The second bike will mark the comeback of the TVS Victor to the market. The new Victor will come with a 110cc engine with an advanced programmed ignition system which will better performance and fuel efficiency. The new Victor will be an upgrade in the economy motorcycle segment from the TVS Star Sport and Star City. TVS Motor Company is present in the scooter segment with their Scooty and Wego. TVS plans to take full advantage of this growing scooter segment with a new 125cc scooter which will prioritise fuel economy in urban riding conditions. The new scooter will compete against the likes of the Suzuki Access and the Mahindra Duro. TVS Motor Company is taking a bold step with its new hybrid two-wheeler which they plan to launch in 2013. The hybrid two-wheeler is question is a scooter called the Qube. TVS would be test marketing the Qube from June 2012 in India from June 2012 before its launch in 2013. The Qube comes with a 100cc petrol engine and a hub motor. The rider can choose between the sources of power as required. The scooter can run on only petrol, only electricity or on both, depending on the choice of the rider and the amount of charge in the battery.